A bit of a departure this week from the fifes and drums of massed bandsmen, the strumming ukulele of George Formby or sorrowful ballads of a lost generation. Time for some Viking Metal. The Varangian Guard is a military force that always intrigued me. These guys from the fjords of the north who traveled all the way to Byzantium to serve as mercenaries. The stories they would have told around the fire when they were back home – the young ones would never have believed them. This music video will probably not be to everyone’s taste but I have a fondness for the group Amon Amarth. I have included the lyrics so that those who cannot make out the words can get the gist of what is going on, Much to my daughter’s disgust, I present Amon Amarth and the Varaygs of Miklagaard. I told her if One Direction or Justin Beiber did a song like this I would showcase it as well. 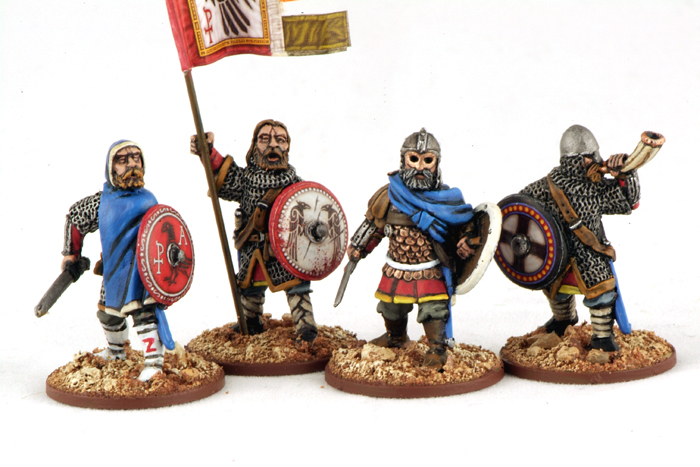 Gripping Beast make some beautiful Varangians. Here is a sample of code BYZ01 Varangian Command. 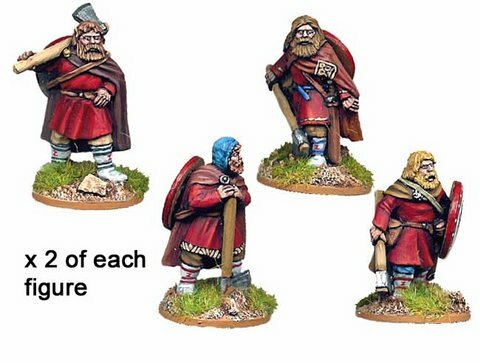 Crusader Miniatures have a great Dark Ages range. These are Varangians in Parade Dress (Code DAB007). Make a pack of 30 Varangians. Good value if building an army, but for skirmish gaming probably not the best. As usual, the Old Glory website does no favours to the models. Some undercoating and a wash would bring these figures to life. 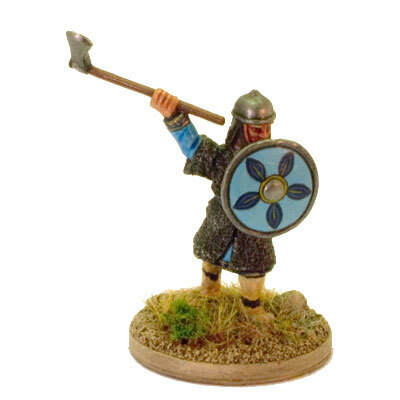 Magister Militum have a range of 25/28mm Late Byzantines which includes some Varangian miniatures. This model is available in three different poses. The code is LB034 Varangian Guardsman with Axe. Another range I have little knowledge of. Some people swear by them and others seem to swear at them. They look quite nice and have an extensive range of Vikings, some of which could be pressed into service as Varangians. LYRICS: The Varaygs of Miklagaard.